Today’s guest post is by Pastor Dan McEvoy from North Bay Christ the King Community Church, in Blaine, Washington. My first images of Jesus and the land he lived in were a cheap print of Da Vinci’s “Last Supper” at my grandparents’ house and cartoon images on flannel graphs at Vacation Bible School. When I got older, what I pictured as the Holy Land came from poorly-produced movies starring characters with British accents and the evening news showing the Israeli and Palestinian conflict. When I became a Christian and began reading the Bible and hearing sermons, my mind began to form images of what I thought the Holy Land might be like—images that I adapted and described to others when I became a pastor. It wasn’t until I personally toured Israel that I realized the picture in my mind was two dimensional and black and white. From the moment I stepped off the plane, I sensed I was about to experience something very special and holy. With the help of a highly knowledgeable and articulate tour guide who brought us to places we knew well from Scripture, the Bible came alive in an instant. It’s hard to describe in words how my pilgrimage profoundly transformed me, but I’d like to share some highlights from my 10-day journey. Our guide called this “The Jesus Ministry Day.” We spent all day where Jesus did most of his ministry on earth in Galilee. From the site where Jesus and his disciples fed the 5,000, we headed along the northwestern shores to the very beach where the newly risen Christ cooked breakfast for his disciples and where Jesus reinstated Peter. 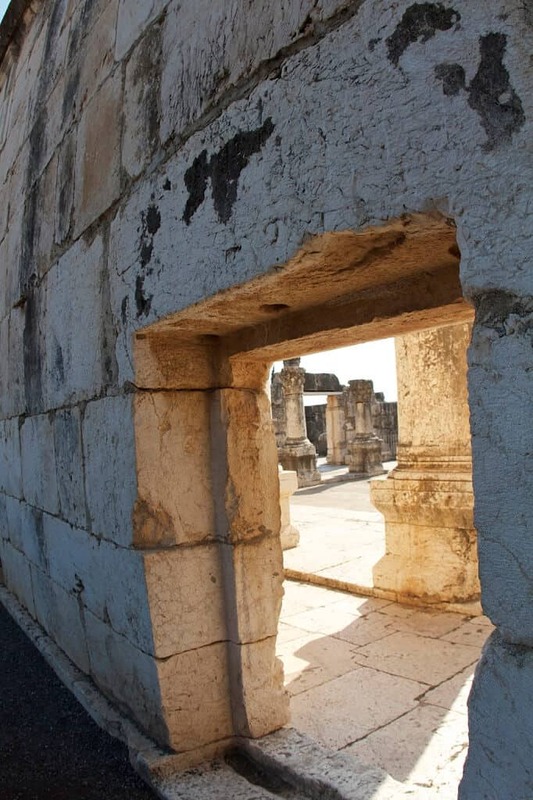 My favorite of all the “Jesus locations” was Capernaum. This was the village where Christ spent the most time during his public ministry. The greatest part of visiting this ancient community was seeing the archaeological find of Apostle Peter’s actual house. Amazingly, they know this was Peter’s house when Jesus would have actually been in it. It was surreal to stand in the very place Jesus stood, and where he taught in the synagogue. We took a boat tour on the Sea of Galilee. There I had the opportunity to lead a devotion reflecting on all the different moments Jesus had with his disciples. We worshiped and prayed together, and ate the very type of fish that Jesus and his disciples would have caught. We ended our day at the Mount of Beatitudes where I read parts of the Sermon on the Mount. I was so moved in this moment—reading and being in the very place Jesus preached the greatest sermon ever preached. This was a full day of literally walking on the very real estate were Jesus ministered. Our guide shared that Caesarea Philippi was named after Herod the Great’s son Philip, and it was a pagan city cut into tall rocks where people worshiped the Egyptian god, Pan. But most significantly, this was where Jesus took his disciples to reveal who he really was in Matthew 16:13-20. It was a five to seven day journey to this location from Capernaum. Why so far? Partly because Jesus didn’t yet want to publicly reveal that he was indeed the Messiah, but also because he wanted this to be the place where he would tell the disciples what his future church was to be built upon: himself—The Rock. When we arrived I had the revelation of why he chose this place. It was because of the huge rock as a backdrop! It was that aha moment for me. “I get it!” Jesus said, “On this rock” showing how huge he would build his church, and Peter being named “rock” and the gates of Hades could not overcome it. The location below it was the cave “the gate” where people worshiped Pan—which was believed to go into the underworld (Hades). I was able to share Peter’s confession with our group and connect it to the very landscape that we saw. This will be forever etched in my mind whenever I read and teach this passage in the future. This afternoon we traveled to the Temple Mount on the 2,000-year-old road that led to the second temple. We saw the jumble of bricks that fell from the Temple Mount during the fall of Jerusalem and the destruction of the temple in 70 AD. We arrived at the southern stairs and sat at the place where scholars believe Jesus would have had to ascend to enter the temple. It was amazing to sit on the very steps Jesus walked. This was the biggest day of the whole trip for sure. We started the morning at the Mount of Olives which overlooked the City of David and Temple Mount. We talked about how the Mount of Olives was where Jesus ascended to heaven, and also will return for the second coming. Our Jewish guide told us this was the same location Jews believe The Messiah will come as well. We then began to walk down the hill where Jesus came on Palm Sunday, making his triumphal entry. It was so amazing to sing Hosanna, Hosanna, Blessed is He who comes in the name of the Lord down the very hill Jesus actually came down on a donkey. We stopped at the garden of Gethsemane where we entered a chapel that had the rock believed to be the one on which Jesus prayed in agony as he contemplated the cross. I placed my hand on the place where Jesus said, “Father take this cup from me. Not my will but yours be done.” We then started traveling up the route called the Via Dolorosa, which has a pretty name but is not a pretty route. It was crowded with shops and people, probably not unlike what it was like in Jesus’ day when thousands gathered for Passover week. We visited a place known to be where Jesus was tortured and crown of thorns placed on him. We continued up the chaotic route towards the location of the crucifixion and resurrection of Jesus—all of which is under one roof called the Church of the Holy Sepulcher. As we entered, it was a chaos of cultures! Our guide told us to throw out all preconceived ideas about what this place would be like, as we entered one of the most ancient and elaborate churches I have ever been in. We were taken up steep stairs and people were crowding us as we got closer to very place that both tradition and scholars believe Jesus was crucified—Golgotha (Calvary). There I was able to kneel down at the very place of The Cross. I was able to thank Jesus for forgiving my sins and saving my soul at the very place where he did so for all mankind. It was one of the most significant moments in my life. We moved down to a small chapel within the church where a long lined formed. This was where tradition says Jesus’ tomb was located, and the place where he rose from the dead. Our guide took us to a different room, containing what is thought to be a very similar tomb to the one Jesus’ body would have been in. Now, no one knows for sure which tomb he was in, but it would have been very close to the cross because when he died they needed to bury him quickly. Jewish people did not perform burials on Sabbath and law required burial within 24 hours of death. So, Joseph of Arimathea offered his family tomb, and because Joseph was from the priestly bloodline, Jesus was buried in a tomb rather than a grave. Visiting the second tomb location, we were able to get a feel for the type of place Jesus was buried and, if you were wondering, it’s still empty because Jesus is a alive! This day will rank in the top 10 most significant moments of my life. After each day in Israel, I tried to process all the historical and biblical details I learned to better understand my faith and expand my worldview. In this place, I walked along a path on my own, learning about the history of antisemitism leading up to Nazism. I read about and watched videos of real human beings, created in the image of God, who were hated so much they were tortured, imprisoned, gassed and burned. 6 million men, women, and children. I was angered and still am, as I think about and reflect on this today. My prayer is that this experience will forever change me and I can convey to you how evil humanity can be. Yet, in the midst of ashes (the very ashes of many who died are in the floor of this memorial), hope rises. Miraculously, after this horrific atrocity, a nation was reborn just 4 years later. I believe everyone needs know and understand what people did to fellow human beings, who did not deserve what happened to them. If you ever visit Israel, make sure you go and never forget what is expressed at Yad Vashem. As amazing as it was to go to all the sites where Jesus walked, I would have to say the most culturally stirring moment was when we gathered with the Jews of Jerusalem at the western temple wall as Shabbat (The Sabbath) began. I was able to go and pray, and actually place a note of prayer into the Western Wall. My prayer read: PEACE OF JESUS TO ISRAEL. It was a lifelong dream to literally follow in the footsteps of Jesus, and it was even more incredible than I imagined. What surprised me the most was being introduced to the religion and culture of Judaism by our amazing Jewish guide. I must admit it is humbling to realize my lack of understanding of the Jewish religion, even though it provides such a foundation for the Christian faith. In all, Israel transformed me. I touched the dirt, waded in the water, and drank in the culture of wonderful and beautiful people. To walk on the very steps Jesus walked on, and stand in the very places where the Bible and history indicate he was, made my faith tangible. I was moved to tears, gripped with the magnitude of the very real estate where I was standing, and affected by the deep emotional impact it had on my faith—it reoriented my framework of and approach to scripture. I would never again envision the Holy Land as black and white, but as a mosaic of beautiful pieces coming together. I have new and profound clarity, context, and dimension that will forever affect how I read, reflect on, and teach Scripture. Now, when I open my Bible and begin to read a portion of the gospel that includes a place where I actually stood, I am filled with a 360-degree experience of memories and emotion. When I click a page in Logos Bible Software and see an image, I know personally that very spot and the angle it was taken from. My experience has filled with me greater passion for the historical, cultural context of Scripture and the very tangible, undeniable reality of how the powerful message of God is so vital for those who do not know the truth of his love through Jesus. Jesus brought salvation to mankind at a very specific place, where I was able to place my hand and pledge my heart once again. I will be forever changed. 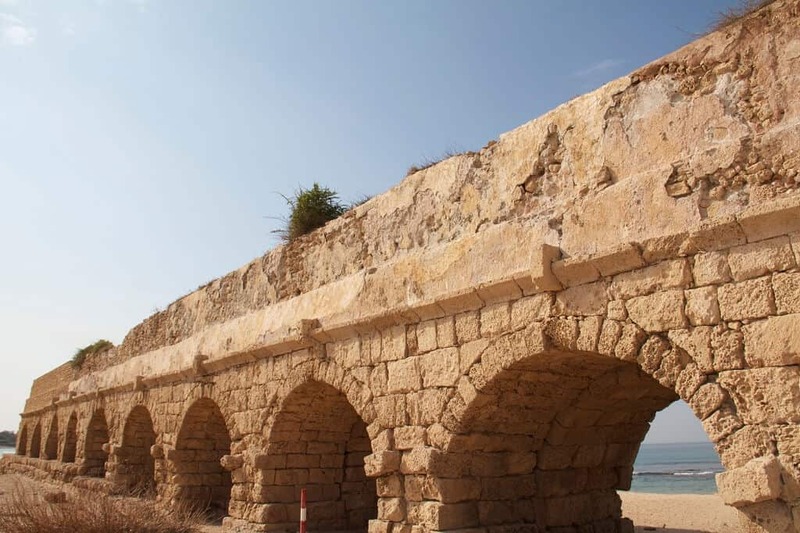 Want to explore the archaeology of the Holy Lands with a Bible scholar? Preorder Dr. Craig Evans’ Mobile Ed course, Archaeology in Action: Jesus and Archaeology. I had the same experience too. I enjoyed the boat ride because of all the history around the Sea of Galilee and that Jesus chose five common men as his disciples from that area. The garden of Gethsemane was especially touching too as I took pictures of a Gethsemane in Capernaum and recall a sermon I heard about it. It was a large rock that was placed on the olive pulp after they had already run the mill stone over them to squeeze the last drops of liquid from them and in that sermon he related it to when the sins of the world were placed on Jesus and His blood spilled out. What a thought here around resurrection time when we focus on our Savior! My wife and I were able to visit Israel in 2014. We were guided by two seminary professors who spend much of their lives in Israel. Because of their connections, we were able to explore every major Biblical archeological site from the Wilderness of Zin to the Golan Heights, and from Mt. Carmel to Jericho. What we learned over and over again about Scripture, is that things happened where they did for a reason. Being able to explore the geographical, historical, and cultural context of ancient Israel, took my Bible study to a new and deeper level. I realized that I had glossed over so many place names, as seemingly insignificant. But I missed the deeper meaning of each of those passages by doing that. I came home with a renewed and heightened interest to delve more deeply into the Scriptures. As a result, I now see God more fully or completely, and His plan for mankind, with both a deeper reverence and commitment to know and follow Him. My Logos tool on my computer makes that study much more possible, for which I am very grateful. A thoroughly enjoyable read, thank you! Wow. This really took me down memory lane! I went to Israel a couple years ago and it truly did bring the Bible to life. It inspired me and moved me to the point where I came home and designed an Israel themed board game.